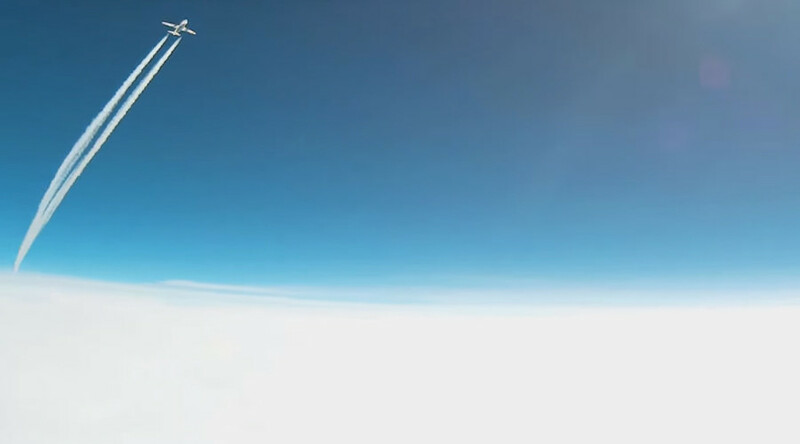 Incredible footage of an Airbus A319’s nail-bitingly close encounter with a high-altitude weather balloon has emerged online. Captured by a GoPro attached to the balloon, the video shows the Delta Airlines-operated flight comes uncomfortably close to the meteorological device in the skies above Newark, New York. Flight 159 flew just 1,000ft above the weather balloon at a height of 38,000ft, according to Overlook Horizon High Altitude Balloons (OHHAB). The plane was en-route from Boston to Detroit at the time of the incident on March 26. The OLHZN-5 high-altitude balloon was “in extremely close proximity” to the plane when it encountered the flight 70 minutes into its journey, the company said. OHHAB added that the firm follows all FAA Regulations regarding unmanned free balloon flights. The balloon ran into more difficulty on landing when it got stuck behind a transmission line connected directly to the substation at Nine Mile Point Nuclear Station. National Grid USA, the group that maintains the lines, removed the payload some hours later, leaving all data intact. Some equipment was damaged, however. OLHZN-5 is the fifth high altitude weather balloon flight launched by OHHAB. The seventh planned high-altitude weather balloon flight, OLHZN-7, is scheduled for launch before the end of June.